sand beaches and the Caribbean ocean. 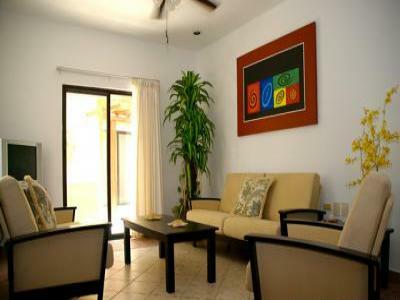 upscale gated and secure community of Playacar in Playa del Carmen. the many species of tropical birds. coverings. There is also a full bath on this 2nd level. while relaxing in this remarkable hideaway. Beautiful Gardens, Large swimming Pool and Resort Benefits Available. or poolside lounge chairs, hammocks, swimming pools, and beach towels. confirm all prices at the hotel and/or golf course. is available on request for an additional fee. average vacation property, but an exclusive private hideaway. Prices are in US Dollars (tax not included) and subject to change. Long-term and monthly rates available. Please contact owner for information.